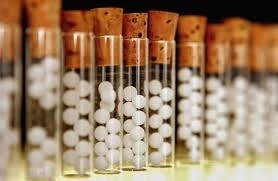 Homeopathy is based on the principle that you can treat ‘like with like’, that is, a substance which causes symptoms when taken in large doses, can be used in small amounts to treat those same symptoms. For example, drinking too much coffee can cause sleeplessness and agitation, so according to this principle, when made into a homeopathic medicine, it could be used to treat people with these symptoms. This concept is sometimes used in conventional medicine, for example, the stimulant Ritalin is used to treat patients with ADHD, or small doses of allergens such as pollen are sometimes used to de-sensitise allergic patients. However, one major difference with homeopathic medicines is that substances are used in ultra high dilutions, which makes them non-toxic. 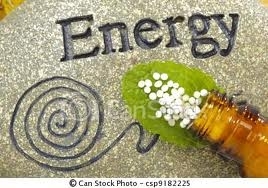 One theory is that during the production of a homeopathic medicine, the dilution and agitation processes cause an interaction between the original material (e.g. a plant such as Belladonna) and the water and alcohol it is mixed with. This creates tiny new structures (nanostructures) which are the ‘active ingredient’ and remain present even when the sample has been diluted many, many times. Hahnemann went on to document his work, and his texts formed the foundations of homeopathic medicine as it is practised today. A BBC Radio 4 documentary aired in December 2010 described Hahnemann as a medical pioneer who worked tirelessly to improve medical practice, insisting that medicines were tested before use. Christian Friedrich Samuel Hahnemann, the founder of homeopathy, was born in Meissen, Saxony in Germany on 10th April 1755 to an impoverished middle-class family. He was taught to read and write by both parents and was an avid learner even in his early years. He became proficient at languages and even by the age of twelve was sufficiently accomplished in Greek and Latin that he was given the task of tutoring other children in these. His linguistic repertoire expanded through his adolescence so that by the age of twenty he had mastered English, French, Italian, Latin and Greek, and was able to make a living at the University of Leipzig as a translator and teacher in languages. He subsequently added to these, Arabic, Syriac, Chaldaic and Hebrew. He also trained in sciences, was a member of various scientific societies and was honored especially for his researches in chemistry. Other fields of expertise included botany, astronomy and meteorology. Hahnemann undertook the study of medicine in Leipzig and Vienna, qualifying with honours in 1779. He started practice as a doctor in 1781 and shortly afterwards married Johanna Henriette Kuchler, with whom he had 11 children. Hahnemann took his calling as a medical healer seriously and applied himself conscientiously to his profession. In these early years as a doctor, using the medicines and techniques available to the profession at the time, he found to his dismay that he was not only ­not achieving a healing response in many of his patients, but in some cases causing greater damage to the health of the patient through the toxic effects of some of the medicines, than the disease, if left untreated, would have caused. This tragic fact made such a profound moral impression on him, that he felt compelled to withdraw from the profession in order to not contribute to the harm being committed to humanity in the name of medicine. Hahnemann then resorted to making a living from writing and translation. It was while undertaking the translation of a particular medical text, A Treatise on the Material Medica by the Scottish physician William Cullen, that he was first prompted to examine the medicinal effects of substances ‘under a different light.’ In this medical text he read the claim that the drug, cinchona (Peruvian Bark), was effective in treating the symptoms of malaria because it was a bitter astringent and had a tonic effect on the stomach. Hahnemann rejected this claim outright as it suggests that other drugs which had these characteristics should have a beneficial effect on malarial states, which they don’t. In order to establish exactly what effects cinchona did have on the human organism he decided to take the drug himself. He began to administer doses of cinchona to himself over a short period of time and discovered that this bark actually created malaria-like symptoms in a healthy individual. Hahnemann reasoned that it was the similarity of symptoms that somehow produced the healing effect. 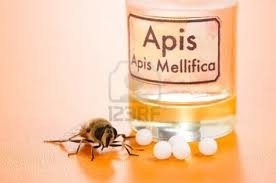 This prompted the postulation of the first principle of homeopathy: “like cures like.” Or stated more completely: That which can produce a set of symptoms in a healthy individual, can treat a sick individual who is manifesting a similar set of symptoms. He coined the name “homeopathy” to describe this approach to healing, deriving it from the Greek: homos (same) + pathos (suffering). This, however, still left the barrier of toxicity. Many substances which produced symptoms also produced toxicity in the body unless they were diluted to such a degree that they not only lost their toxicity but also their ability to produce, and therefore to cure, symptoms. 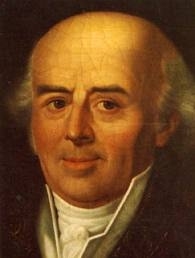 Hahnemann experimented variously with this problem and discovered a curious phenomenon which had not been known before. Whereas simple dilution of a substance, in water for example, weakened the power of a substance to produce an effect, the act of diluting in steps (each step could be, for example, diluting 1 in 10) and vigorously shaking or impacting the mixing vessel after each step, resulted in a substance which still produced symptom effects on a healthy person, and curative effects on a sick person. This phenomenon was evident even when the dilution and impacting (called succussion) was continued to the point of leaving only immeasurably small amounts of original substance in the diluted solution. 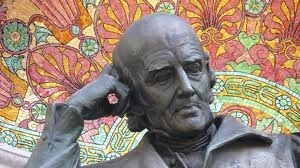 Hahnemann resumed his practice using to full effect his newfound approach to the art of healing. He soon attracted many followers among the physicians of his day and the new science started to spread through Europe and abroad. A homeopathic medical movement was started which eventually spread throughout the Europe and North America and also eastward into Asia, and especially India. Hahnemann’s provings expanded from the original tests done on himself to tests done on numbers of people in order to establish the common and striking symptoms, as well as the more subtle and peculiar effects of each drug. These detailed symptom pictures have been collected and catalogued into what is considered the homeopath’s bible: the Homoeopathic Materia Medica. In 1810, Hahnemann published the fruits of his labours in a systematic treatise called The Organon of the Medical Art. This publication laid out the original principles and practices of homoepathy for the benefit of other physicians and for mankind in general. Early in the text he describes and defines the goal of physician: “The highest ideal of therapy is to restore health rapidly, gently, permanently; to remove and destroy the whole disease in the shortest, surest, least harmful way, according to clearly comprehensible principles.” The remainder of the book sets out how this ideal can be realized using homeopathic principles. He continued throughout his long career to refine and improve the practice of remedy making, proving and prescribing, still following the fundamental principles of his original discovery, and in the course of his life, produced five further editions of the Organon. The fruits of Hahnemann’s genius continue to benefit us today in ever increasing measure as the efficacy and safety of homeopathy in the treatment of countless disease states becomes evident to more and more people.